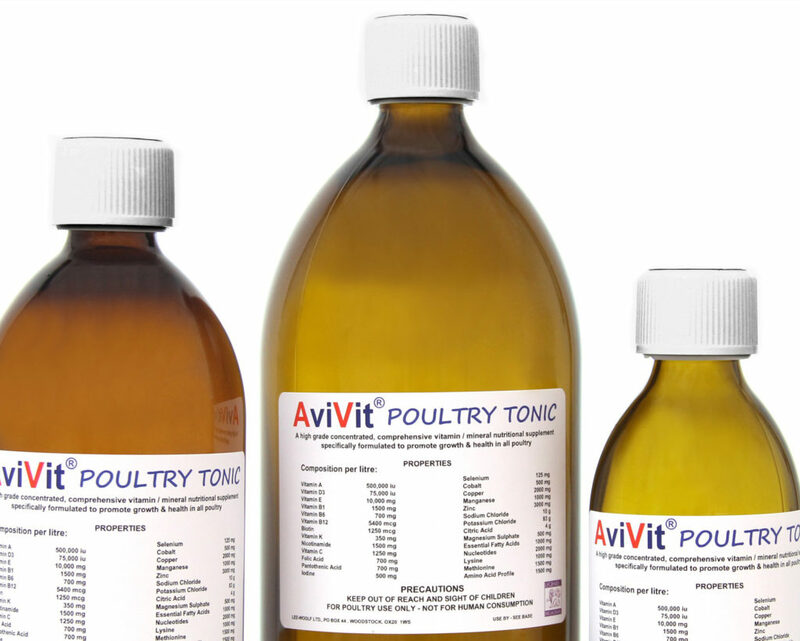 AviVit Poultry Tonic is a concentrated, comprehensive liquid poultry tonic, including a broad range of 27 vitamins and minerals, for regular use throughout the life of the bird, to reduce stress and improve health and vitality. 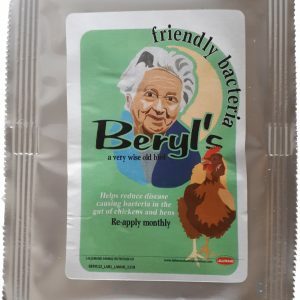 Used by professional & domestic poultry keepers. 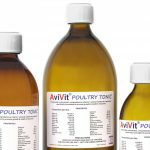 AviVit Poultry Tonic is a high strength, concentrated vitamin mineral tonic for domestic & commercial poultry, containing a wide range of essential vitamins and minerals, for regular use throughout the life of the bird. 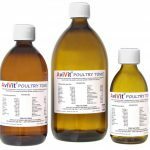 Helps to reduce stress, and improve health, performance, and vitality. 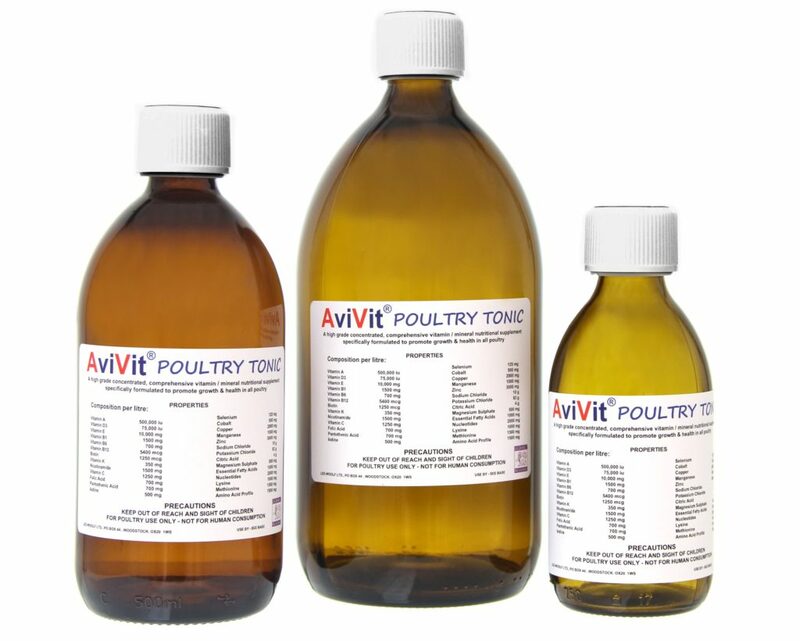 Used by professional and domestic poultry keepers, and breeders. 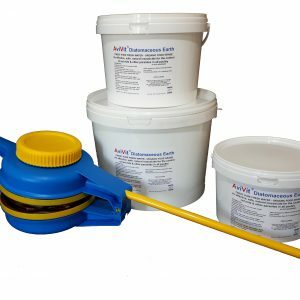 Economical to use, with a dose of 1-2ml per litre. 27 ingredients. 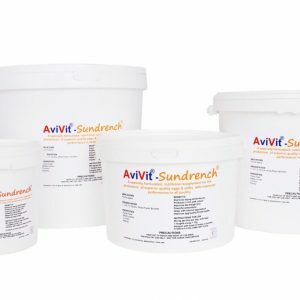 AviVit is a registered trademark.